At the inauguration of a new asylum seeker reception center in Rome, Italian President Sergio Mattarella said, "welcoming and integration are the answers to the reality of these stories of suffering, of conflicts, of difficulties in arriving and landing in Europe." 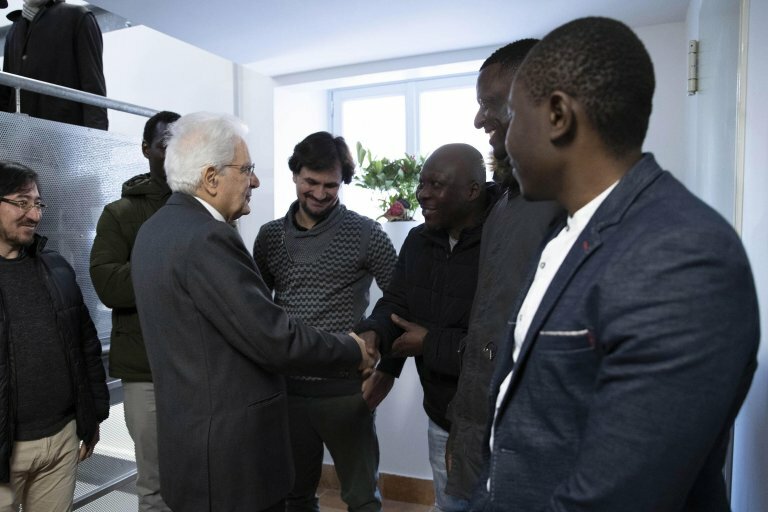 Italian President Sergio Mattarella inaugurated a center for asylum seekers in Rome, operated by the Jesuit Refugee Service's Centro Astalli. While at the centre, Mattarella listened to these stories of suffering by the refugees who there. "The phenomenon of migration is epochal, it is present everywhere, in every part of the world, because the world has become increasingly smaller," he said. "That highlights the need for global interventions by the UN, because no country on its own is able to face this phenomenon." The new "Matteo Ricci Centre" for refugees, named after the first Jesuit missionary in China, is part of other structures at the Centro Astalli. "Welcoming and integration are the answers to the reality of these stories of suffering, of conflicts, of difficulties in arrival and landing in Europe, always keeping very very clear that at the center is the dignity of the human person and solidarity," Mattarella said, after having listened to the stories of migrants who, despite the difficulties, managed to reach Italy. "According to UN data, those who flee from war, from famine, from persecution, number about 70 million," Mattarella said. "It's a phenomenon that requires a grand choral effort by the international community," he said. The new structure is dedicated to supporting social inclusion programmes and programmes for building positive and constructive relationships between refugees and local communities. There are 28 places at the center for receiving migrants who are working on inclusion programmes, training, job placement support, cultural activities, and artistic activities. Inside the classrooms there is a crucifix made of oars, donated by Pope Francis, to symbolize the journeys undertaken by migrants who attempt to cross the sea. Father Michael Czerny, undersecretary at the Migrants and Refugees Section of the Vatican Dicastery, said the crucifix is the work of artist Alexis Leyva Machado, better known as K'cho. "Pope Francis also donated the necessities for the first month of the Ricci Centre's operations," Czerny said. "He regretted the lack of public funding for vulnerable migrants who need a place in this structure," he said.